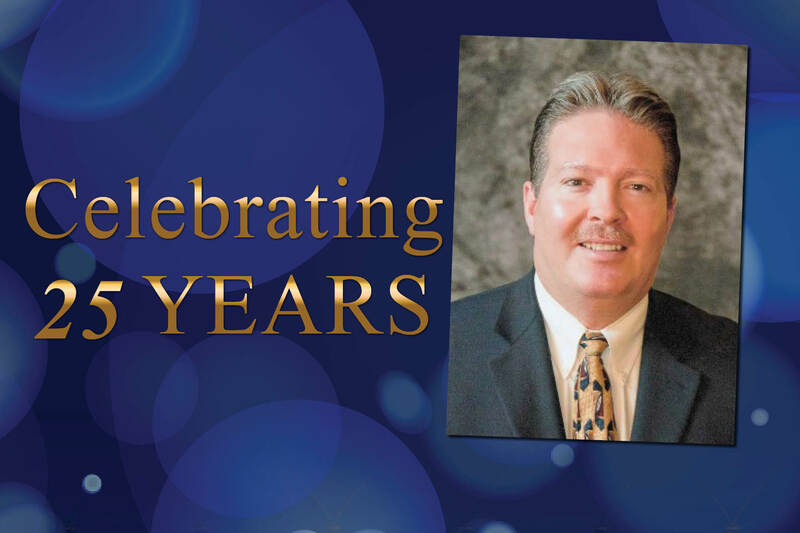 Business Insurance Sales Executive, John Mostoller, is celebrating his 25-year anniversary with PayneWest. In 1981, John began his career in the insurance industry with Walton-Mostoller Insurance. His father, Roger Mostoller, was the agency principal and a long-time industry veteran. John spent the next 11 years under his dad’s tutelage honing his insurance knowledge and skills. In 1992, Spencer Kinney bought the agency and John joined their team. With Spencer-Kinney, John serviced all types of business accounts including farms, wineries, orchards and contractors with bonding needs. He established a Contractor’s division within the agency. Eventually, John assumed the sales manager role for Spencer-Kinney. When Spencer-Kinney was purchased by Western States Insurance in 2004, John became the branch manager for the next seven years. When Payne Financial acquired Western States Insurance and formed Paynewest Insurance, John became a regional sales director for three years. Today he is back in the production role of business insurance sales executive and enjoys working with his clients to help them reduce their overall risk. John is a Tri-City native, has a wife and two daughters, plus an Australian Labradoodle who thinks he’s part of the family. As a Christian, John believes in giving back to the community. John has been active in Kiwanis [a past club president], and several other activities including the Tri-City Water Follies-aka the “boat races.” John is also a past president of our local Independent Insurance Agents of Benton-Franklin Counties. PayneWest is beyond grateful for our committed colleagues and we glad to have John as a part of the PayneWest family. Congratulations John on your 25-year anniversary and we look forward to many more. You can contact John Mostoller at (509) 946-2627 or by email at JMostoller@PayneWest.com. Find all of us at PayneWest.com/about-paynewest/directory/.